Thank you to all London Cycling Campaign members and supporters in Haringey and Islington who spared a minute to respond to Transport for London’s proposals for the removal of the Archway Gyratory system. 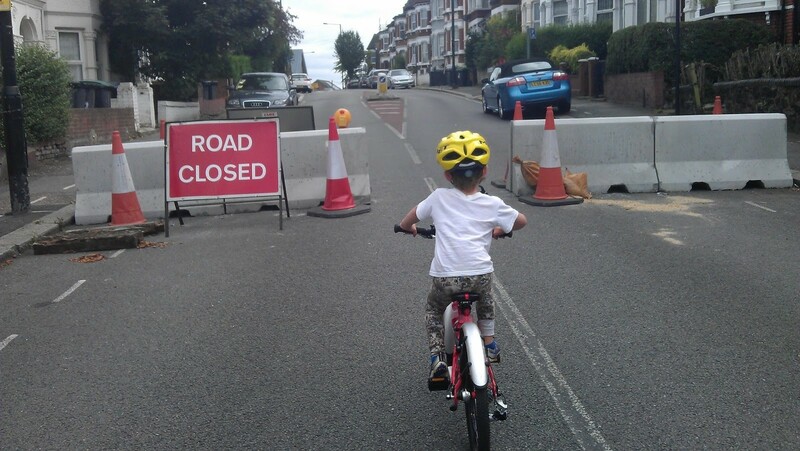 Click here to review Islington Cyclists Action Group’s full response on their website. 1) Coming from Junction Road to St Johns Way there is a left hook risk: requiring cyclists to turn right across left turning traffic. A cycle track along the central Archway island and a cycle crossing on ArchwayRoad would ensure these cyclists are safe. 2) It is not clear how to get from Archway station into Holloway Road. 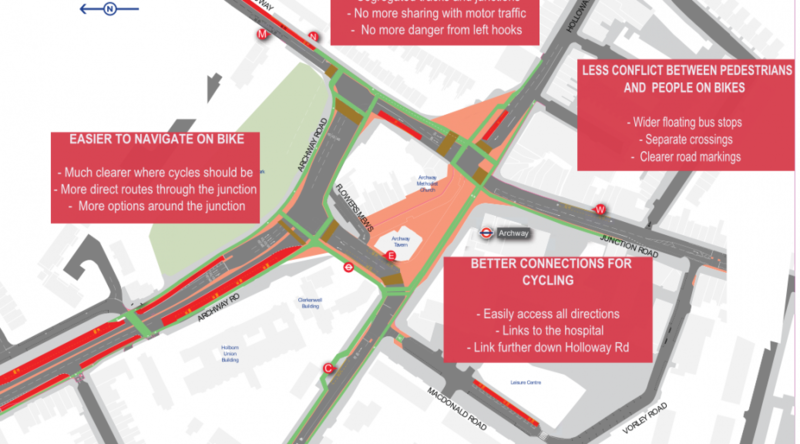 We need a segregated track, clearly distinguishing bikes and pedestrians, linking the track down Highgate Hill in front of the station to the southbound Holloway Road track. 3) It is impossible to cross Archway Road north of Tollhouse Way. We need a link from Archway Road (northbound) to Archway Road/Harberton Road, particularly at Despard Road and Waterlow Road. Incomplete cycle provision can give a false sense of security and lead to increased risk, as at the Cycle Superhighway junctions now being upgraded and we trust these points can be addressed. The scheme should avoid using guardrailing (none is shown), but there should be features such as kerbs, planting, bollards or seating to indicate the extent of pedestrian areas. The cycle lanes should have 45deg angle kerbs. Cycle parking can also be used to emphasise the edge of a pedestrian area, as used very successfully at Kingsland High St.